Well that’s another year done (concerning the club). Last meeting was our 35th Annual General Meeting. If you wish to be part of the team or if already a member and would like the challenge of stock controller please contact Miss Jo Scott, her details can be found on the contact page. 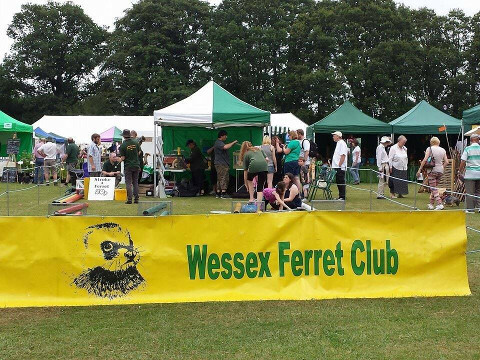 So the Wessex Ferret Club started the new show year off with a bang at the fantastic Broadlands Country Fair! In the heat of the sunny May bank holiday, we meet lots of new friends, including the wonderful Rabbit Fever guys and the fruity Gwatkin Cider boys! Despite the heat, we managed some racing, and were kept busy by a great crowd interested in ferrets both as pets and workers. It was a fantastic weekend, and we look forward to appearing again next year! And so as we race on through 2018, the ferrets come out of hiding to visit the fairs and fetes of the south coast! 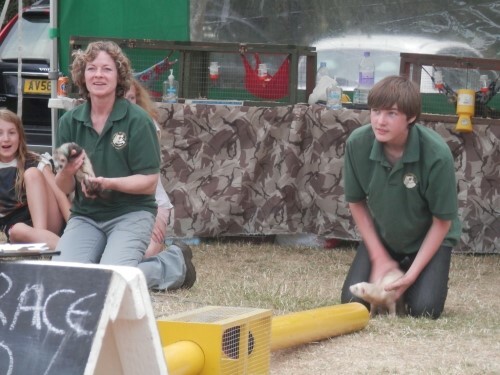 Why not have a great day out and join in with the ferrets at one of the many shows we will be at this year. 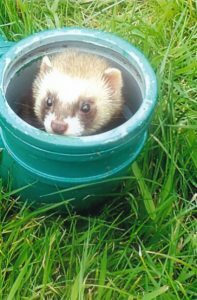 It is with deep regret that we need to inform you that Pam Archer, long standing Trustee and one of the original members of the Wessex Ferret Club, has sadly passed away. Her funeral will be on the 12th February 10.00am at Test Valley Crematorium, Romsey. We have vacancies for positions on the Committee. To be considered you will be required to provide some information supporting your request. We are an enthusiastic friendly team and would like to welcome interest from potential like minded people. If you are interested please contact Jo Scott for further information. 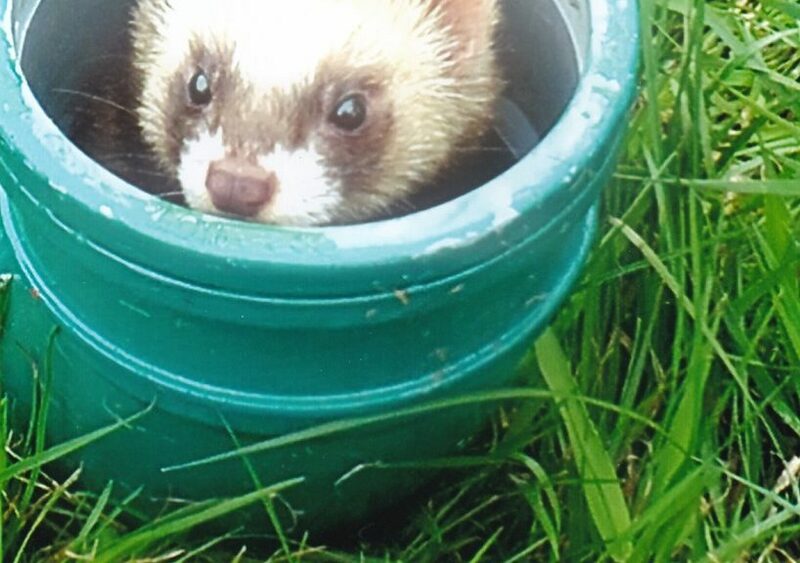 Hopefully, many of you will have read through our wide range of ferret related facts, and already now that our furry friends have many more talents than just chasing the odd bunny! Well over the last few weeks that seems to have been brought to the fore in the national media of TV! The BBC in particular seems to have gone ferret and polecat mad just lately, with stories about the re-emergence of the ferrets closest relative, the polecat, appearing on the National News, and more than one episode of Winterwatch! Winterwatch also went further, with sections of the show dedicated to polecats, ferrets and all things weasel related! But this isn’t where the ferret invasion of the BBC stopped, oh no, they went even further, with that prestigious publication, The Wessex Ferret Club Newsletter, making an appearence on Have I Got News For You! You can find this on the BBC iPlayer of YouTube, just search for series 50 – episode 8. 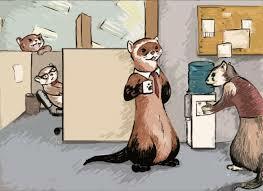 So the power of ferrets has spread, today the BBC, tomorrow the world! A New Year, Wizards and Where’s Baldrick? With a busy end to the last year, it’s been a while since our last news update. Turnip was left pining for his little lost buddy, and this author had to console the poor little lamb as he searched through the rabbit warrens and electric fences in search of his soul-mate. But all was not lost, and as the end of the year approached, news reached our little shell-likes that Baldrick had not done an Alice and dissappeared down a rabbit hole, but had been moonlighting on a shoot as a beater! And yet, in the mysterious world and ways of the shoot, Baldrick had learned of an even more mysterious and magically world … not called Starbuck’s but called Hogwart’s!!! 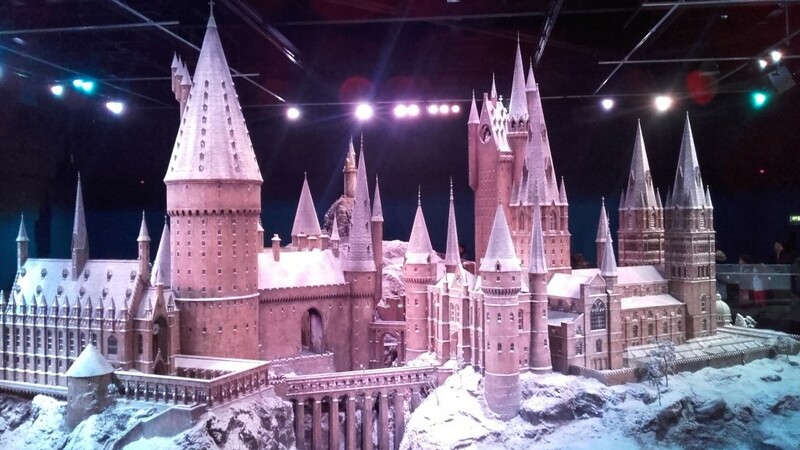 So an entrepid band of adventurers set off from the Wessex Ferret Club in search of this land and stumbled across Warner Brothers Studios World of Harry Potter, complete with Butterbeer, Quidditch and yes, ferrets! You can see more of this fantastic day in our gallery. And so after a magical trip and an emotional reunion of Baldrick and Turnip (there were lots of tears and cuddles …), the new year is upon us and we return to the fields for the second half of the working season, and also start booking the shows for the up coming year. So we look forward to a busy and successsful year and hope to see friends old and new in the months ahead! 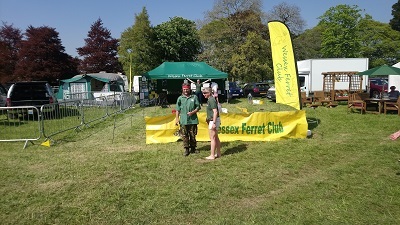 So it was a hot and sunny end to July, and the Wessex Ferret Club descended on a field just outside Brockenhurst for the grand spectacle that is the New Forest and Hampshire Country Show! With newly painted racing pipes, we eagerly awaited the hoards of visitors, ready to dispense out fuzzy facts about our furry friends, and the ferrets bounced around in expectation of cuddles and being fussed by everyone. The tent display was given a complete make over, with new photos and information posters, and the working area had the addition of videos on net making, and an action video featuring out very own Turnip setting up nets and trying to catch something! 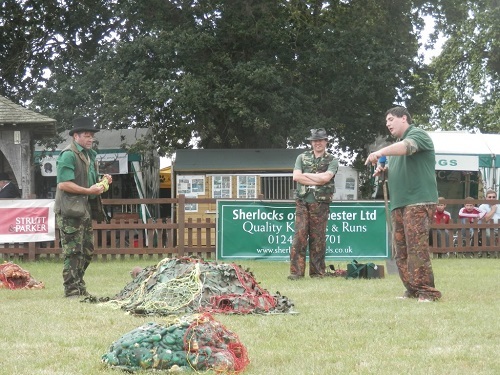 Not to be out done by the wizards in the display tent and racing arena, it was the turn of the workers and there rabbit control demonstration! So in to the fray stepped who else but Baldrick and Turnip (and friends), with their new and unique display, and the introduction of Wilfred the dog! It was a fantastic three days at a brilliant show, one of our longest running and most prestigious events, and we look forward to returning next year, with even more updates to display! To see more of the fun and games, see our gallery here. Baldrick and Turnip Ride Again! 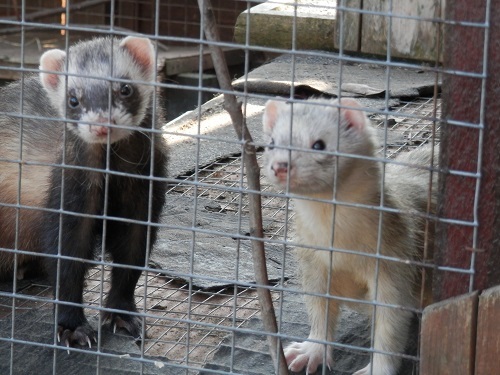 As the show season comes to an end, and the long hot summer days (and rain …) fade away, our intrepid heroes gear themselves up for a new season of ferreting, yes it’s Baldrick and Turnip – The Return! We’ve all enjoyed this year so far, with great shows, new displays, new members and a great platform to launch the club to new heights next year. But for some, the work continues through the autumn and winter, as Baldrick and Turnip escape from their carers and once more roam free across the countryside, eagerly seeking out rascally rabbits, leading innocent ferrets astray, falling down holes and discovering those electric fences they love so much. So with only a few more shows left, remember to check back over the coming months to read the continuing misadventures of our beloved pair, and this season we plan to bring live action video of their mishaps as well! A barmy Friday evening, and the Wessex Ferret Club trundled down into Poole to take part in one of our longest running shows, the Baden Powell School Fete. As always, it was a great evening, with lots going on – bands, raffles, climbing walls, dance displays, and of course – ferret racing! Everyone had a great time, and there was plenty of interest from the crowd about our fuzzy friends, and I’m sure we will return again next year!